REDUCED ! Be sure to check out the 3D ineractive tour at the top of this listing. 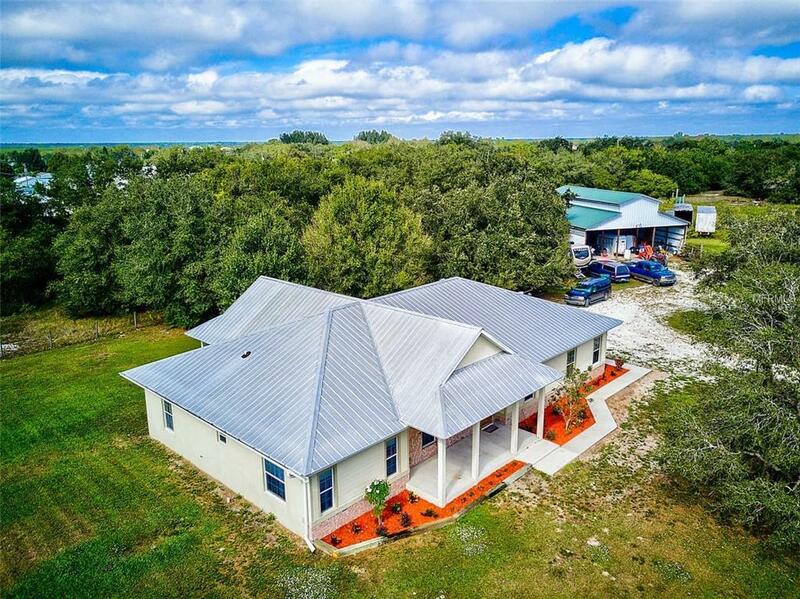 This 5 acre+ home also comes with a 2200 square ft Barn that has a Loft that is 864 sqft, a Mechanical room that is 14x20 and a work shop that is also 14x20. The front of the property has a large pond that is great for fishing. To the rear of the property is another structure perfect for horses. 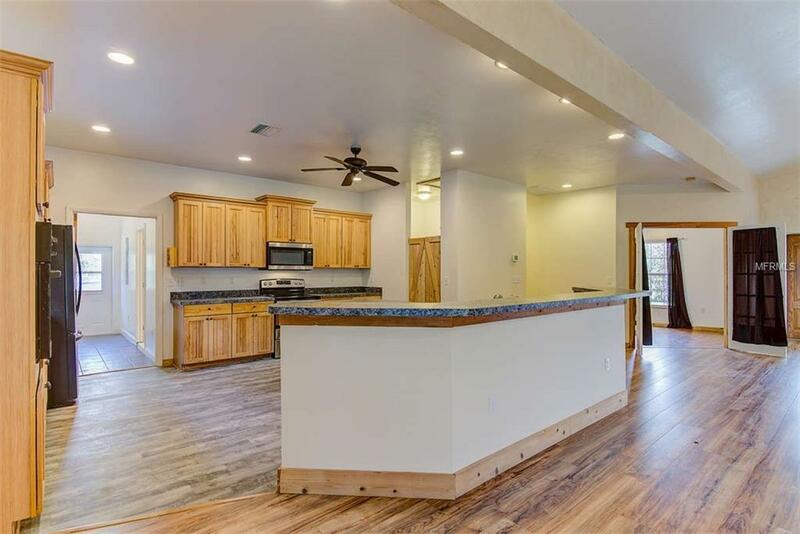 The inside of this home will blow you away with the huge Chef's kitchen featuring Hickory cabinets brand new stove and microwave, Large center island, Breakfast bar and Large walk in Pantry. Brand new flooring through out with the exception of the bathrooms which is tile. There is a large office that could easily be converted to another bedroom. Both of the guest bedrooms feature a built in desk that is perfect for doing school work. Guest bath has his and her sinks and a large Roman shower. 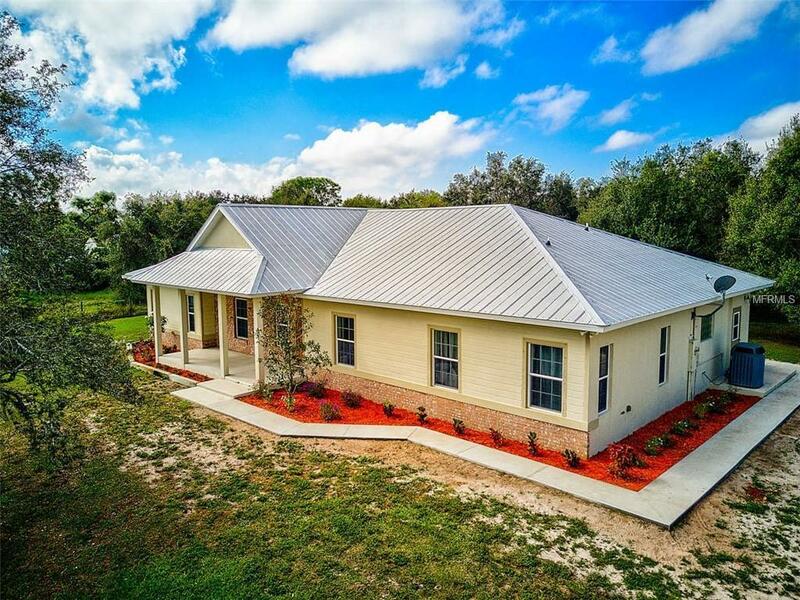 This home is a split floor plan so the large master bedroom is on the other side of the home with 2 walk in closets and a gorgeous master bath with a Jacuzzi tub, separate roman shower and his and her sinks. The wonderful lay out of this home allows access to Laundry room from Master bedroom, kitchen and outside. This home was custom built and is truly a one of a kind!! 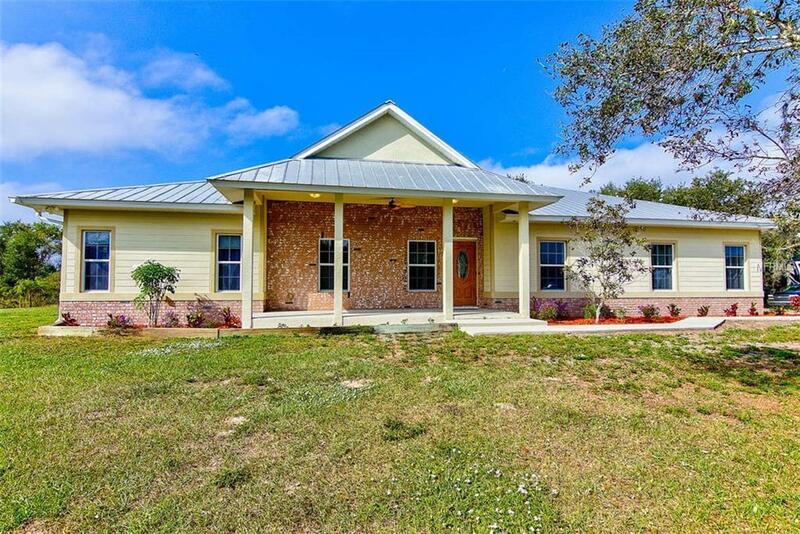 It is absolutely gorgeous.This home also comes with a home warranty for that peace of mind.